This fabric consists of high-quality cotton, use green dyes, safety and environmental friendly. 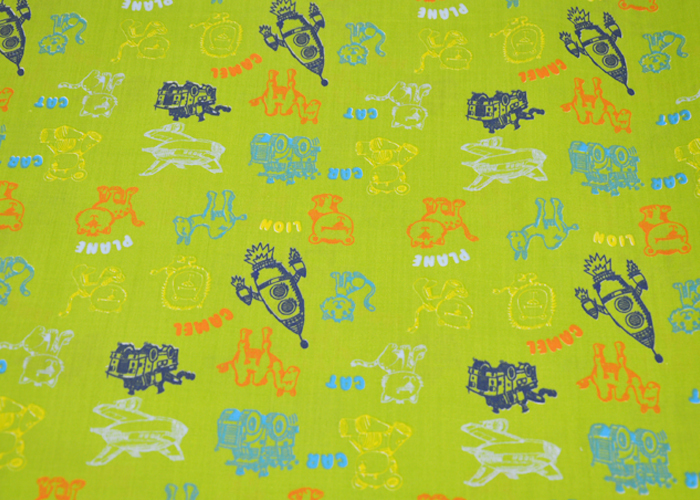 This fabric was first dyed green, and then printed with patterns of cats, camels, cars, rockets, aircraft and other cartoon image. The fabric is used for children's clothing, bed sheets, quilt cover, curtains, tablecloths, toys and so on. Looking for ideal 100 Cotton Printed Children Fabric Manufacturer & supplier ? We have a wide selection at great prices to help you get creative. 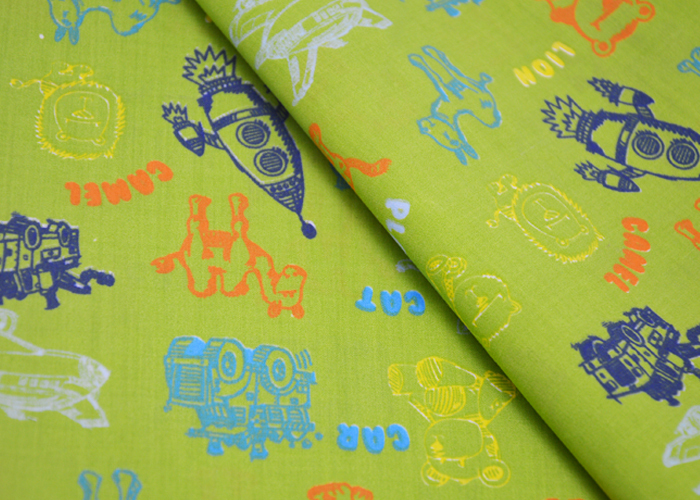 All the Cotton Printed Fabric For Children are quality guaranteed. We are China Origin Factory of Cotton Plain Printed Cloth For Children. If you have any question, please feel free to contact us.